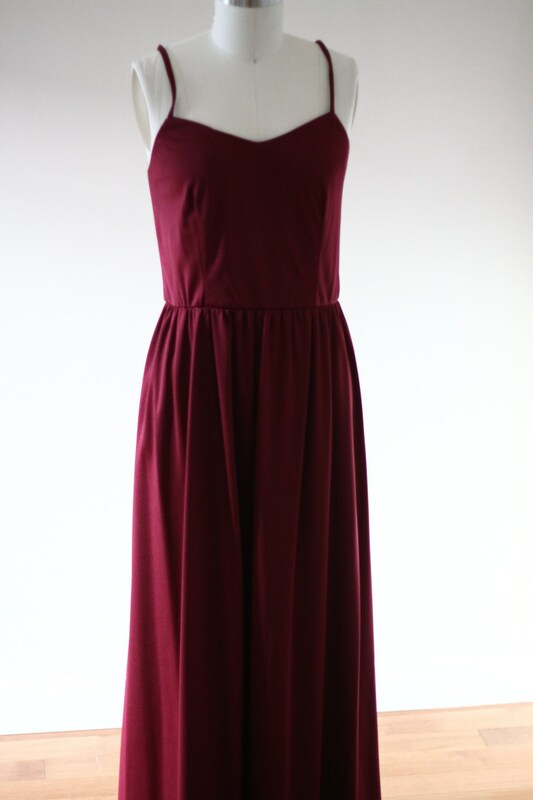 1970s polyester blend burgundy maxi dress with skinny straps. 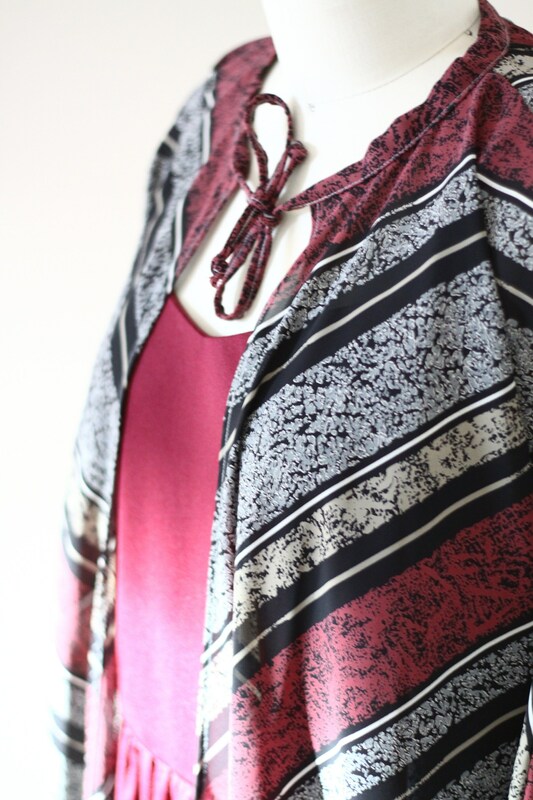 Pleated details around the waist line and a zipper closure. 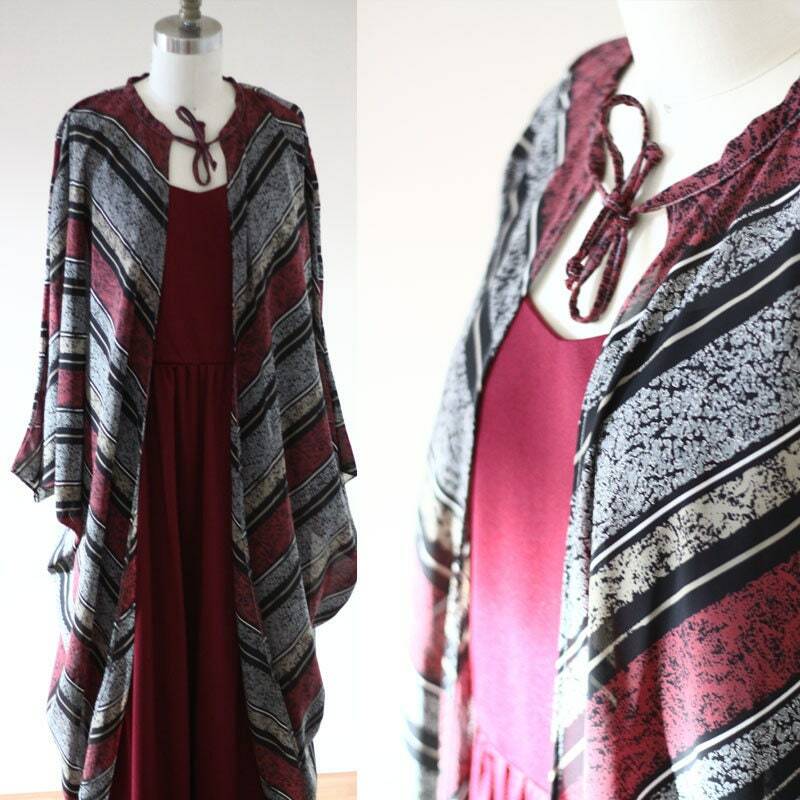 Amazing black, burgundy, and grey striped bat wing cape. Tie closure around the neckline. 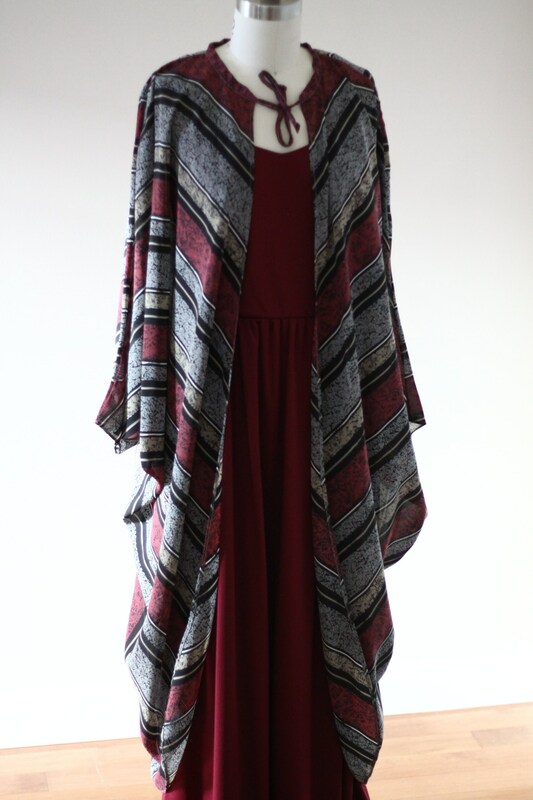 The cape could be worn with jeans and a t-shirt for a more casual look. 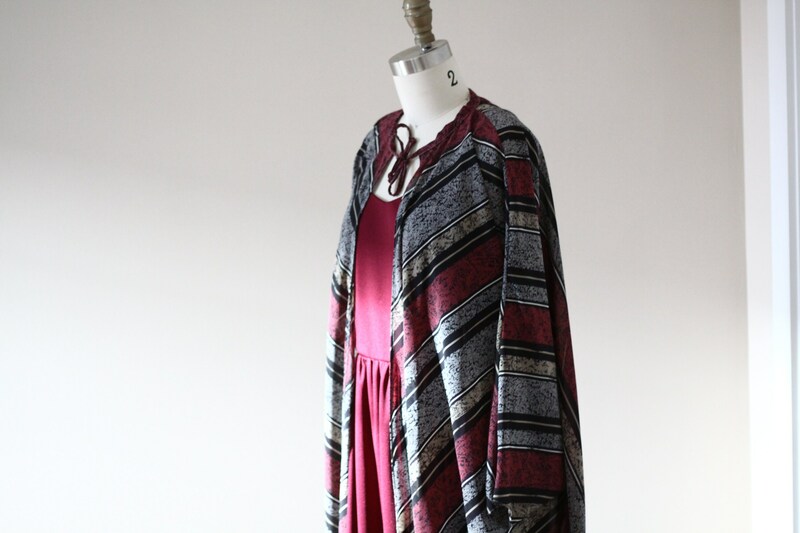 The cape is sheer. 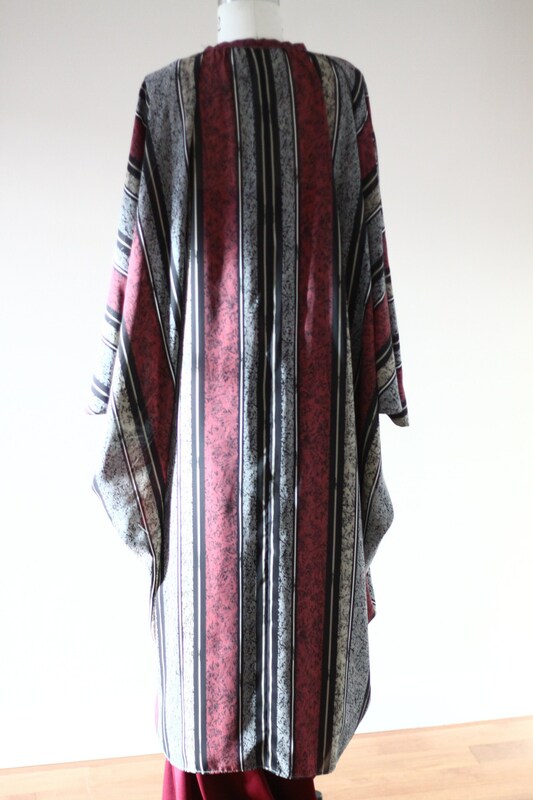 This dress is in goodintage condition. No flaws, stains, or tears.